Be the first to share your favorite memory, photo or story of Werner. This memorial page is dedicated for family, friends and future generations to celebrate the life of their loved one. Werner J. Poppe was born on March 7, 1934 in Chicago, Illinois to Leo and Maria (nee Kissling) Poppe. He completed his life journey surrounded by family on Saturday, March 23, 2019. Werner served in the Army from February 1954 until January 1956 achieving a rank of Specialist Third Class while stationed in Alaska. After leaving the Army, Werner’s career began as a tool and die maker in Chicago, later working for 20+ years at Skild in Elk Grove Village and retired as a plant foreman after completing 20+ years of service at American National Can. Werner was a jack of all trades. He enjoyed having garage sales, helping anyone who needed a repair or something built, watching his favorite TV shows, and so much more. Most of all, he loved his family and always made time to be with his children and grandchildren. Werner is survived by the love of his life of 28 years Roberta "Bobbi" Poppe (nee Traylor); his children Karl (Joan) Poppe, Marie (Philip) Avella, Lynn (Tony) Schullo, Paul (Joy) Poppe and Karen (Matt) Radley and his step-children Jeffrey (Barbara) Dillon, Karen (Gary) Dixon and Thomas (Laura) Dillon; his grandchildren Trevor, Lindsey (Ryan), Anthony, Brianna, Lucas, Rachel, Nicole, Clayton (Katie), Grayson, Jessica, Katie, Audrey, Samantha and Amy; his great-grandchildren Gavin, Benson, Tucker and Frank; his sister Mary Anne (late James) Calhoun; he was also a loving uncle to several nieces and nephews. He was preceded in death by his parents as well as his brother, Leo. Visitation Tuesday, March 26, 2019 from 3:00 pm until 8:00 pm at Glueckert Funeral Home Ltd., 1520 North Arlington Heights Road, (4 blocks south of Palatine Rd.) 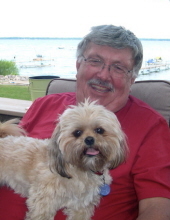 Arlington Heights, IL 60004 and on Wednesday, March 27, 2019 from 9:30 am until time of the Funeral Service at 10:30 am at St. Peter Lutheran Church, 111 West Olive Street, Arlington Heights. Interment will be held privately. In lieu of flowers memorials may be given to American Cancer Society P.O. Box 22718, Oklahoma City, OK, 73123-1718 http://www.cancer.org. "Email Address" would like to share the life celebration of Werner J. Poppe. Click on the "link" to go to share a favorite memory or leave a condolence message for the family.